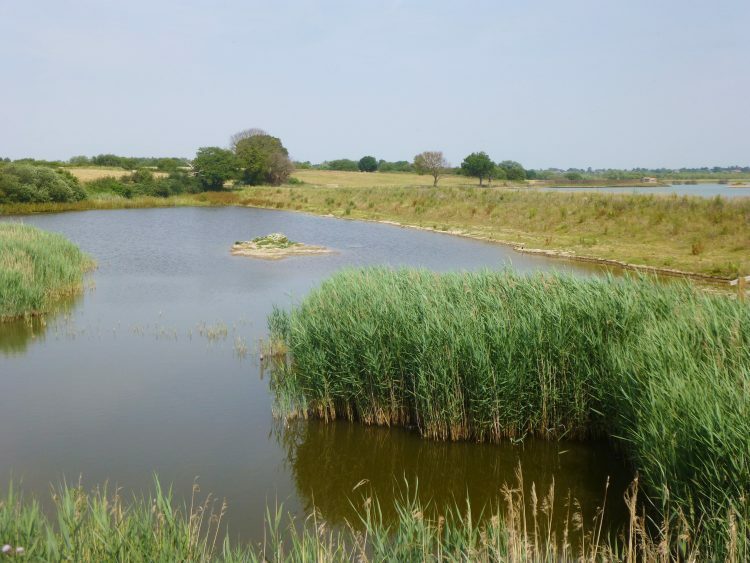 I did my June visit to Fingringhoe Wick this morning – and goodness! it was hot. 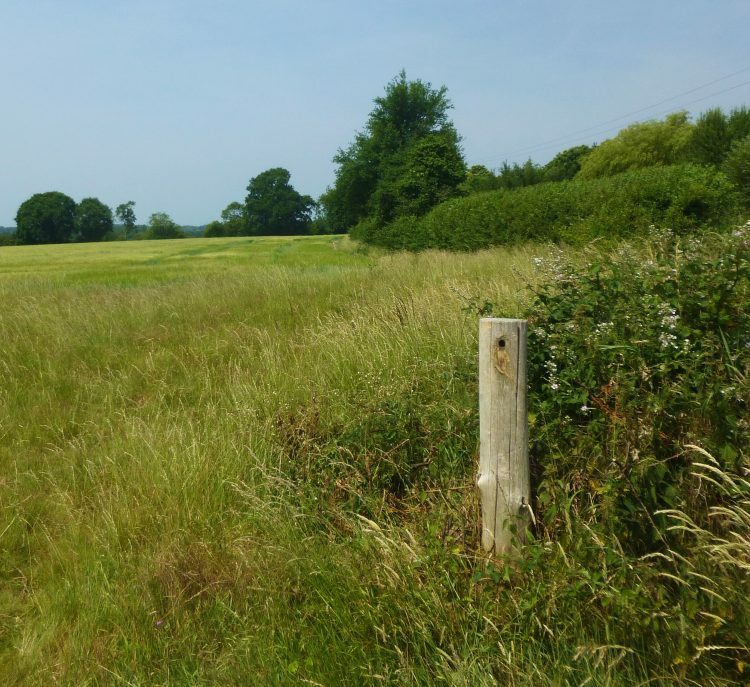 I started by walking back up the lane and along the ‘dog walk’ path, as I’d spotted a rather good view over the fields and down onto the marsh, and I spent some time drawing it. 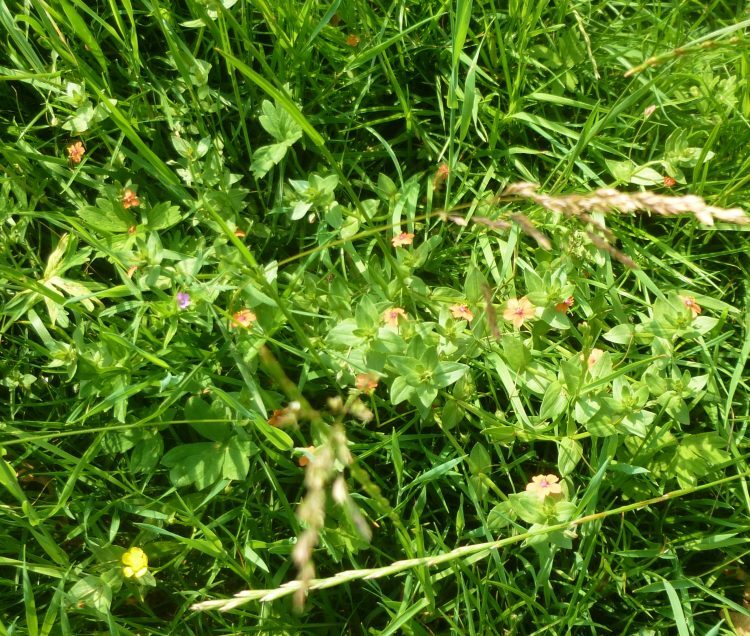 The grass at the field edge was full of scarlet pimpernel and purple vetch. 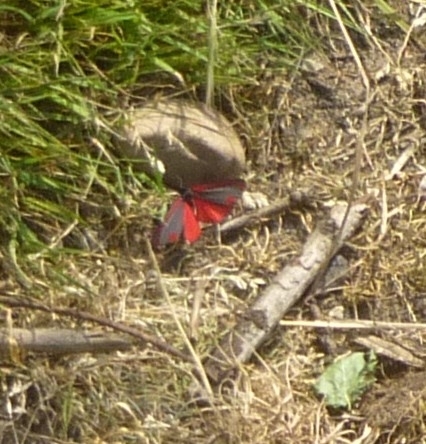 Walking back up the lane I saw a beautiful scarlet and grey Cinnabar moth. Not a very good photo, but I couldn’t get very near, so this was on maximum zoom. 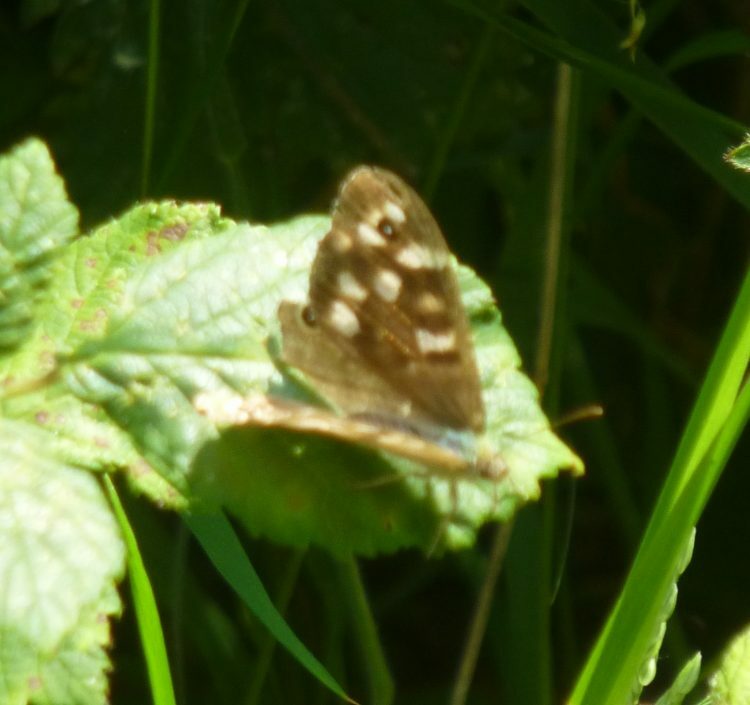 This Speckled Wood butterfly was a bit more obliging and sat still for longer. I walked down to the Kingfisher hide. 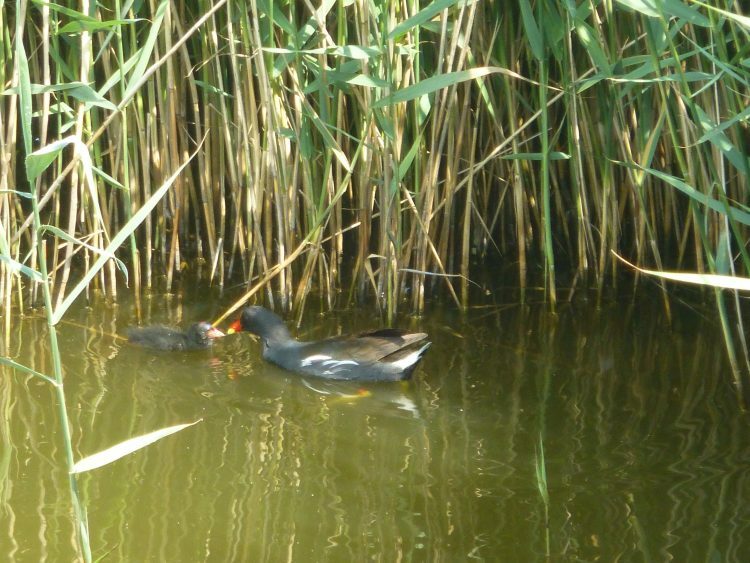 It was seriously hot in the hide, but I got a good view of a moorhen mother feeding her chicks. The reeds around this lake are looking beautiful now, but again, there weren’t any good reflections, so I shall leave painting this view for another month. I saw very few birds this morning. A coot was sitting on her nest with male in attendance on the lake near the Centre, and a little grebe was diving there, too. A mallard with a string of well grown ducklings was gliding about on the Kingfisher lake. 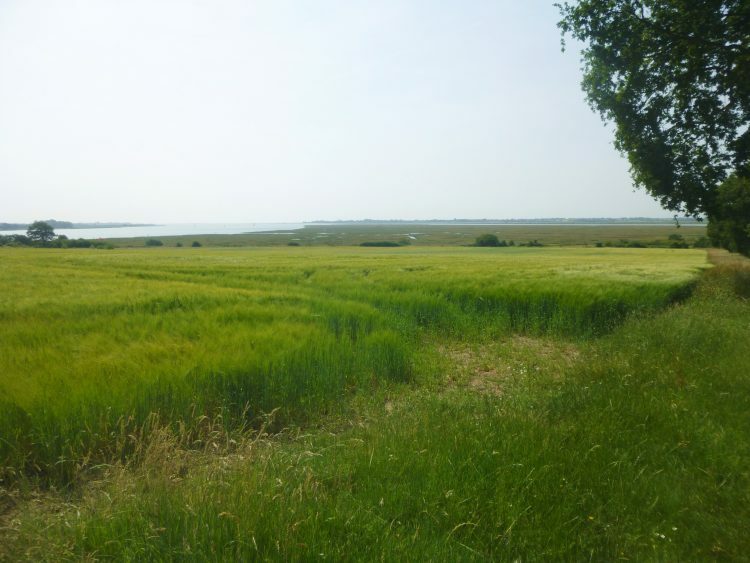 I heard a cuckoo almost continuously the whole morning. 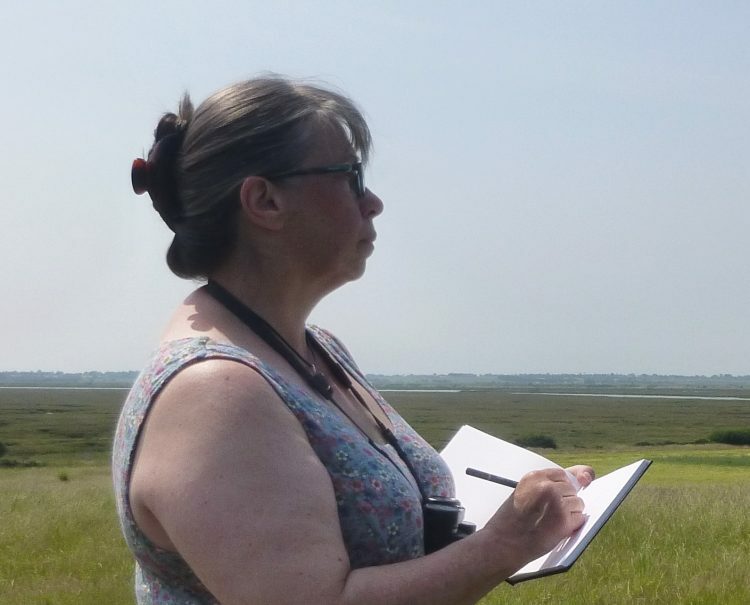 But no buzzards, or marsh harriers today. (very odd perspective!) I drew the same field that I’d started off in, but looking in the opposite direction. 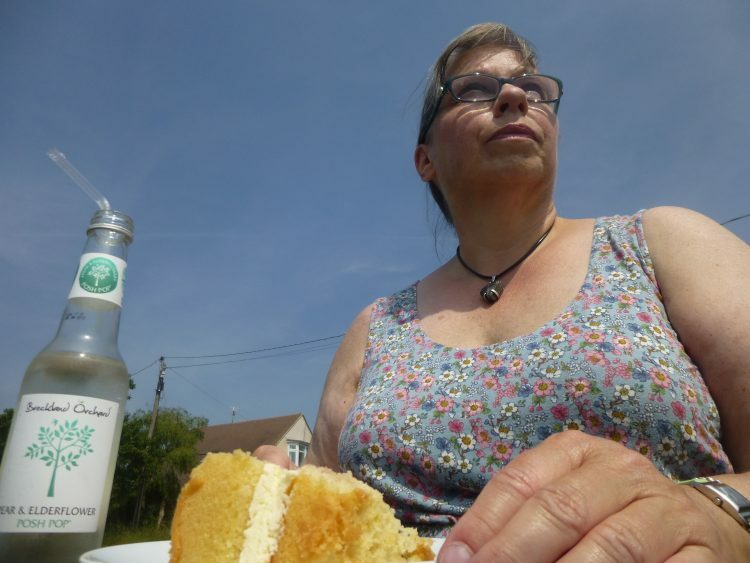 By that time it was too hot to do any more!